When the site administrator turned on strict privacy, you need to consent to the terms and conditions and the privacy statement of the site and maybe even an institution if you are a member of an institution before you can enter your account. If you don’t, you have the opportunity to discuss your issues with them with an administrator. When any of the statements changed, you will be presented with them again and need to make a decision about consenting or not. If you consent to the statement, flip the switch to “Yes”. Before you consent to a statement, please read it carefully. If you do not understand a section or have questions, do not consent to it but leave it set to “No”. When you save your changes, you will have the opportunity to detail why you do not consent and get in touch with the administrator to discuss your concern. Navigation: Use the Main menu navigation icon to navigate to other areas of your portfolio. Administrators and staff who have access to the administration area, see the Administration menu navigation icon in addition to the main menu navigation so they can navigate within the administration area. User navigation: Click the User menu navigation icon to reach your account settings, inbox, and logout link, or click your profile picture to be taken to your profile page. To provide you with the most relevant search results, you automatically search only for users within your own institution, but can choose to search for everyone on your Mahara installation on the “Find people” search page you are taken to. 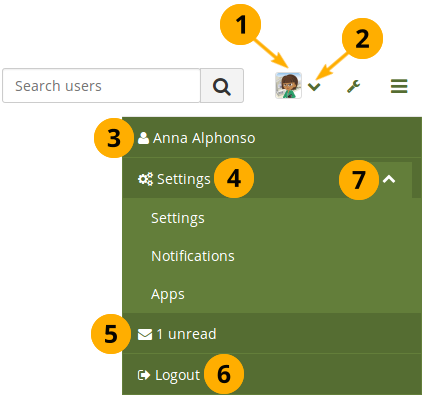 The navigation changed in Mahara 17.04 to a more app-style like one that users already know from mobile devices. The navigation makes it easier to distinguish between the main navigation menu and the administration navigation. If you want to use the old navigation a little while longer, you can base your custom theme on the “Old raw” theme as parent theme. It was updated with a number of changes prior to moving to the app-style navigation so you can take advantage of more theme variables. You will need to make some changes to your custom theme to accommodate these improvements. The built-in themes are available for download using the old-style navigation. It is a snapshot taken before the new navigation was added. No future changes are made to these themes. You may need to make some changes in future yourself if you want to continue the old-style navigation. 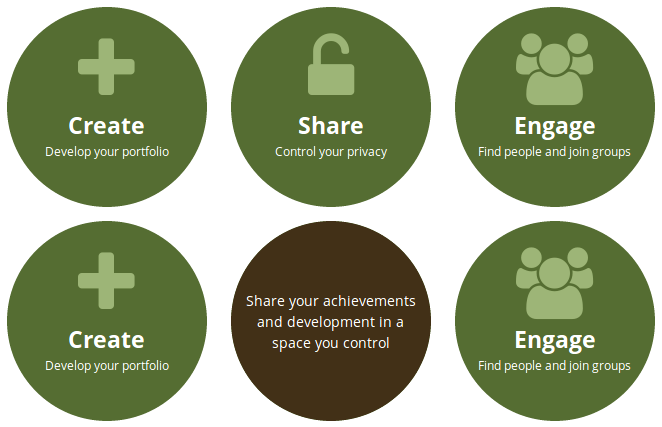 The main menu is visible to all users and allows everyone to navigate to their content, portfolios, and groups. Click the Main menu navigation icon to see a drop-down menu with the available options. Click the Arrow down icon to reach the second level navigation. You can then click the Arrow up icon to close the second level navigation. This menu is only available to staff and administrators. If you have access to administration functionality, you see a second menu, the administration menu. The administration menu is only available to staff and administrators. 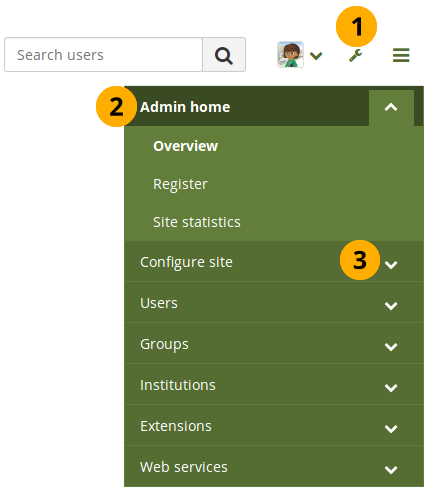 Click the Administration menu navigation icon to see a drop-down menu with the available options. Depending on your role, you may not see all the options shown in the screenshot. The user menu is visible to all users. 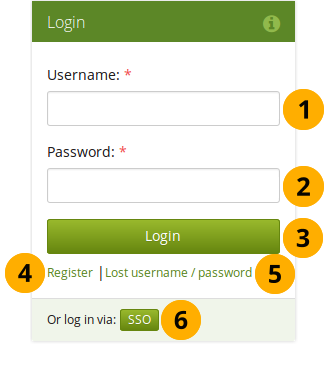 It allows you to acces your account settings, inbox, and profile easily. Click your profile picture to be taken to your profile page. Click the Arrow down icon in the user menu to see additional options. Notifications: Change your notification preferences. Apps: See which apps you have connected to your account. The footer is displayed on every page. If you have your custom theme, you can also make changes to the footer. Legal: Terms and conditions and privacy statement(s). 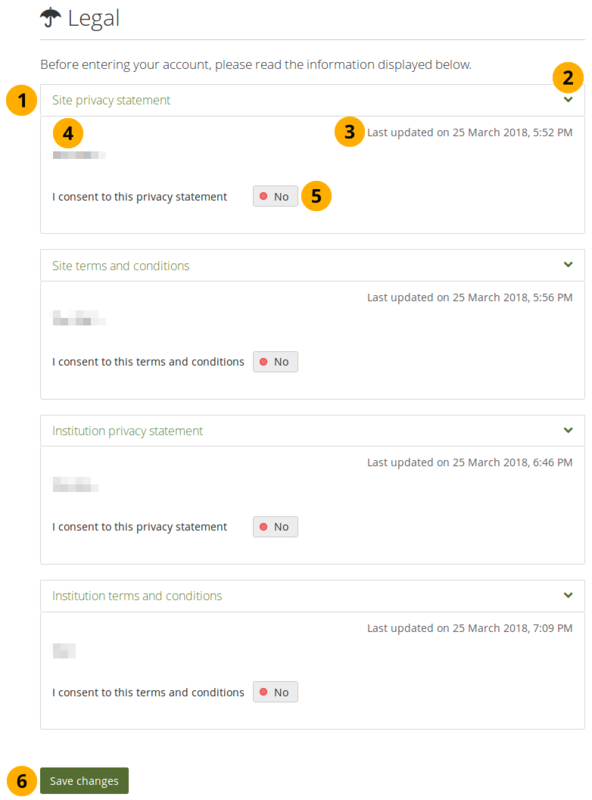 When a user is logged in, this page displays the statements that they consented to. They can find that page also via User menu → Settings → Legal. Contact us: A form for anyone on the site to contact the site administrator(s). A site administrator may overwrite this form and point to a different page or even an email address in the menu configuration. 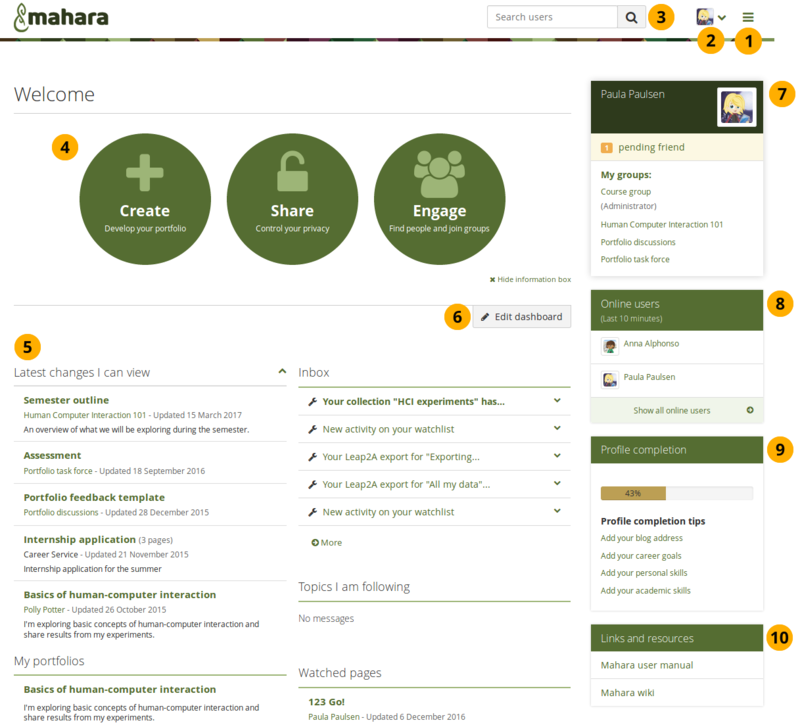 Link to the Mahara user manual. The link goes to the corresponding page in the user manual. The correct version of the user manual is selected automatically. The site administrator can decide in the configuration of the footer whether to display the links “Legal”, “About us”, “Contact us”, and “Help”.